If you have ever been kiteboarding or taken part in any water sports, you will know that the balance of wind and live weather data is crucial. For Swell Kiteboarding in Zanzibar, the wind was a real draw for any ‘windhunters’ looking for an adrenaline rush. But how could they provide real time data to their customers? Swell Kiteboarding is based on the island of Zanzibar, off of the coast of Tanzania, so the weather and wind speeds have a tendency to be quite changeable. This makes it the perfect spot for kiteboarding! However, the local weather forecasts are often inaccurate because of the volatility of the climate and the remote location, so customers were not able to rely on the forecasts if they wanted to spend the day catching the wind. Swell Kiteboarding have been using a GeoSIM Global M2M SIM card in their meteorology station which monitors wind speeds. Often, customers would call into the centre to check the wind, but now they are able to check the Windguru in real time. It also enables Swell to track the tendency of the wind from long-term data gathered which means they can provide more accurate forecasts. They are now the only kiteboarding centre on the island that has a weather station! Single network SIM cards may work in remote sensors, but they do not give the level of redundancy that a multi-network roaming SIM cards can offer which is particularly true in remote locations. GeoSIM’s global roaming M2M SIM card ensures that the device stays connected to the GSM mobile network through its ability to use any available network. 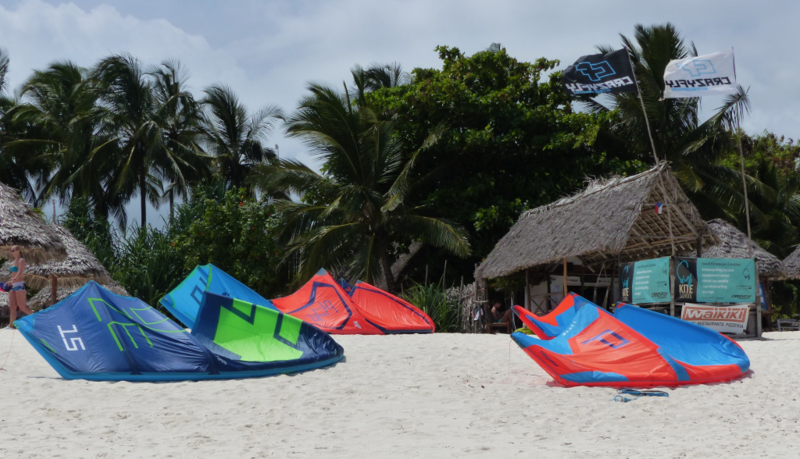 This was a key advantage for Swell Kiteboarding, as their WindGuru Meteostation needed to send data every minute. They needed a solution that was cheaper than local SIM providers who charged data by the MB. GeoSIM Global M2M SIM charge the data in bytes, which means the weather station is more cost-effective and the wind speeds can be checked by anyone, from anywhere! Find out more about how Global M2M SIM works in Weather stations and wind sensors.